The Manawatu District is officially part of the Manawatu – Wanganui region in the lower half of the North Island of New Zealand. The main population centres are the towns of Ashhurst, Feilding, Bunnythrope, Kimbolton, Apiti, Himatangi and Sanson. If you are an adventure seeking or nature lover this area provides some wonderful opportunities to explore. The region is an outdoors playground with many cycling, mountain biking, horse riding and walking tracks. 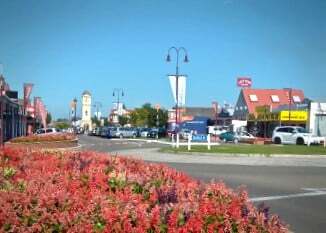 Feilding is a regular winner of the “NZ Most Beautiful Town” and offers a relaxing and friendly atmosphere but with all the conveniences. While Ashhurst in officially part of the Palmerston North City Council we still list it here as part of Manawatu.